Work boots play a pivotal role in your overall comfort and productivity on the job. While many novice workers will often choose the cheapest option they can find, taking the time to select a pair of work boots that are right for your needs can make all the difference. When you’re shopping for that perfect pair of boots, you’ll often see two different types of soles. Works boots are available with standard heels or with a wedge sole. While they’re both designed to keep you safe and comfortable on the work site, they each offer their own unique benefits. To determine which type of sole is right for your job, it’s important to understand how these two soles are different. Boots with a traditional heel have been in fashion for centuries. 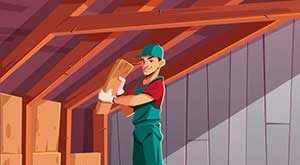 They grew in popularity among blue collar workers in the early 20th century because of the benefits they provide. 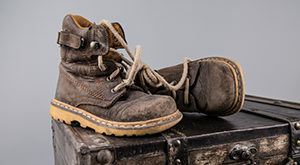 These types of work boots can be characterized by their thick soles and noticeable heel stack. The design is very versatile. 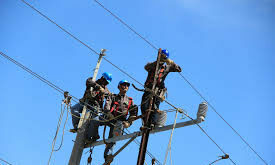 As a result, you can see workers in a wide range of industries using these types of boots. You’ll even see the design in high-fashion formal wear. The sole can be made of a variety of materials. The most common are rubber, cork, and wood. Typically, the front of the sole is flat and makes contact with the ground. This flat portion provides control on the balls of the foot. The sole will then angle upward to provide some arch support. The middle of the sole is off the ground. On the back, a thick platform supports the heel. Heel height varies from manufacturer to manufacturer. You can easily find boots with a subtle heel of less than an inch. You can also find heels that are a couple inches high. The stacked heel provides some lift, which can provide additional support and protection. It can even improve posture over time. Another notable characteristic of traditional heel boots is the sole design. They often have thick lugs and intricately designed treads. Depending on the design, they may also have universal safety features, such as safety caps, puncture plates, shanks, and much more. Wedge soles starting growing in popularity during the middle of the 20th century. Like traditional soles, these types of boots started as a fashion statement. They continue to be used in streetwear. One big reason that workers began to use these types of boots on the job site is that they look more modern and sleek than traditional alternatives. They have a similar appearance to sports sneakers, making them much more accessible to the average man. As the name implies, the sole on these boots feature a distinct wedge shape. The sole is thicker on the heels to provide some lift. It tapers down to the ball of the foot. The entire sole of a wedge makes contact with the ground as you walk. This is a stark contrast to the raised arch of traditional heel work boots. Wedge soles are typically made out of a single piece of molded polyurethane rubber. High-quality boots utilize Goodyear Welt construction methods to secure the wedge sole to the uppers. The bottom of the wedge soles tends to be relatively simple. The treads aren’t as dramatic as those you would find on traditional heel work boots. The rubber material is also noticeably thinner. While they do come in different thicknesses, the lack of thick lugs on the bottom makes them noticeably thinner than the alternatives. This makes the boots lighter and more flexible. Both wedge soles and heel boots offer a lot in terms of protection and features. Both types of soles can include job-specific features, such as waterproofing, impact protection, and more. However, the basic design of the individual soles offers their own unique benefits. To determine which one is right for you, it’s important to understand the strengths and weaknesses of each design. One of the biggest advantages of heel work boots is the traction they provide. Traditional boots with thick heels have lugs that are specifically designed to provide you with traction in a wide range of environments. Whether you’re walking through the dirt, slick concrete, or in unpredictable terrain, these boots can help you walk with confidence. They’re also ideal if you need to walk on inclines. The treads give you a better grip on the ground, allowing you to push yourself forward. Also, walking up and down ladders is much easier. You can use the heel to your advantage and lock your boots into a ladder rung. The thickness of these soles is great for durability. While most boots are designed with longevity in mind, these types of boots are known to last for years with proper care. The thick rubber is difficult to penetrate. Any type of sole will wear down with repeated use. However, the added thickness gives you more time between replacements. There’s a reason why these types of boots are more common. They’re very versatile. You’ll see them on construction workers, loggers, electricians, and much more. The design has been used for centuries because it can serve you well in virtually any industry. One major downside of traditional heel work boots is their weight and added bulk. The thick sole increases the overall weight of the boots significantly. Depending on the particular design and added safety features, these boots can weigh upwards of five pounds. *While that may not seem like much at first, it can take its toll at the end of the day. If you’re not used to the lift that these boots offer, you may experience stability issues. A couple of extra inches can throw off your balance, especially if you’re working on uneven surfaces. The break-in period could be lengthy as a result. The design of the sole creates two distinct pressure points. You will feel more pressure on the heel and ball of your foot. Additional comfort features can minimize the shock you feel with every step, but it may not eliminate it altogether. Many workers feel some strain on their calves and glutes after a long day of work. The unique design of a wedge sole can help improve comfort dramatically. The entire sole touches the ground. With each step, the pressure of impact is spread out. There are no centralized pressure points to worry about. This can decrease the discomfort you feel on your legs, back, and glutes. Furthermore, the design is very lightweight. It’s not as bulky as heel work boots. You’ll be able to walk more without feeling the added weight. Another perk of full foot contact is stability. Without a dramatic heel, you can stay more stable as you walk. Additionally, the lack of a heel stack can help you avoid potential tripping hazards. You can walk over uneven floors or on narrow beams without having to worry about your heel snagging. If you don’t want to deal with tracking in mud or dirt, wedge heels may be for you. The treads are much simpler on wedge heels. They are no thick lugs or deep channels for dirt to get caught in. You can easily dislodge dirt with a simple stomp of the foot, allowing you to keep your home cleaner. While the simple design of the treads on a wedge sole is great for avoiding messes and tripping hazards, you will also sacrifice traction. Wedges do best on relatively flat work surfaces. The shallow treads aren’t made for tougher environments. They can also be problematic on wet surfaces. Another thing to consider is wear and tear. Wedge soles have come a long way since they first hit the market. However, they don’t have the same levels of durability as heel boots. The thinner soles wear out faster, so you’ll need to repair the soles or buy a new pair more frequently. In many cases, the uppers outlast the soles on wedge boots. Which Sole is Right For You? The type of sole you go with will depend entirely on your job and your work environment. Truth is, both of these boots are better options than standard shoes or inferior work boots. You can get great features in both styles. With that being said, wedge soles are more suited for those working in the iron industry or those who need to stay on their feet for prolonged periods of time. 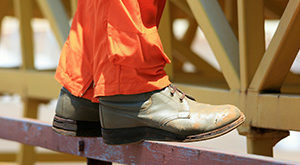 These types of boots were first worn by ironworkers because the flat bottom provided more stability when walking on iron bars. They’re also a great option if you work with concrete or asphalt paving. The shallow treads make it easy to clean wet pavement off. Traditional heel work boots are ideal for construction workers, loggers, lineworkers, and electricians. Their versatile design can keep you safe in a wide range of environments. The thick soles and treads can help you navigate rough work sites without any problems. Choosing the right type of sole for the job can reduce your chances of experiencing an injury. The right boots can also keep you comfortable all day long. It’s important to consider your options and choose the perfect pair of boots for your unique needs.